Another spring and it’s all happening again at Willington Gravel Pits in Derbyshire. 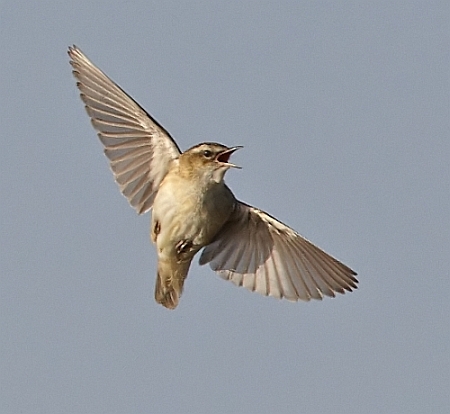 Despite the wind persisting to blow from the north, the spring migration has started to show here in Derbyshire. 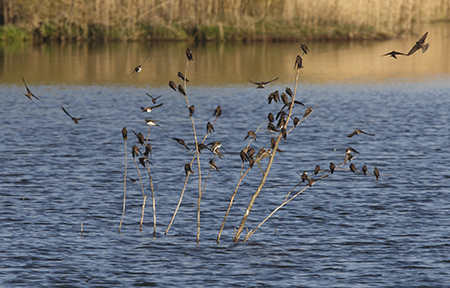 The first Sand Martins have appeared and this spookily coincides with a really large hatch of insects one morning. Here they are stopping for a break on a small bush in mid-water. 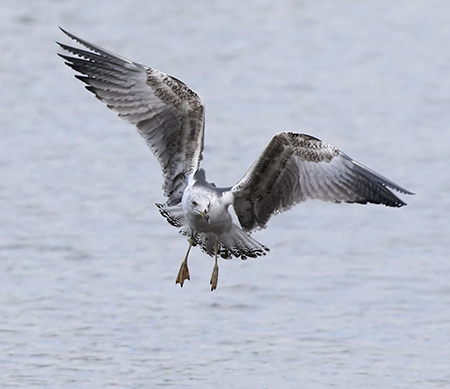 A 2nd summer Yellow-legged Gull drops in to Dead goose island. The first Common Terns return to their last year’s breeding ground, but are immediately attacked by resident Black-headed Gulls, who are already in-place with nests and females sitting on eggs. 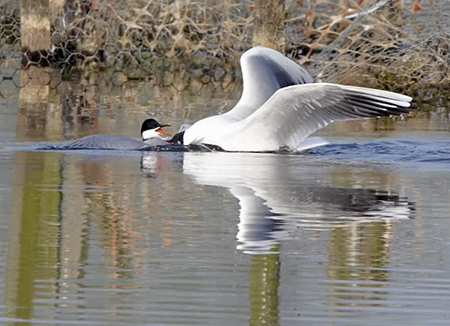 This boils over as an unfortunate tern gets too close. 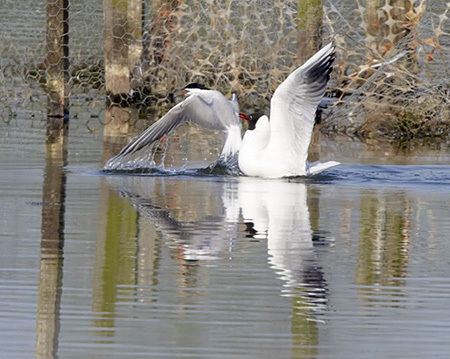 The Black-headed Gull crashes into the tern and holds it underwater – something I have never seen before. After a short struggle, the tern escapes unharmed, but this serves as a warning that birds will defend their nesting sites vigorously. If only to prove this, shortly afterwards 4 Great Crested Grebes get involved in a fight – the result of which leaves one grebe severely injured and in fact died shortly afterwards. 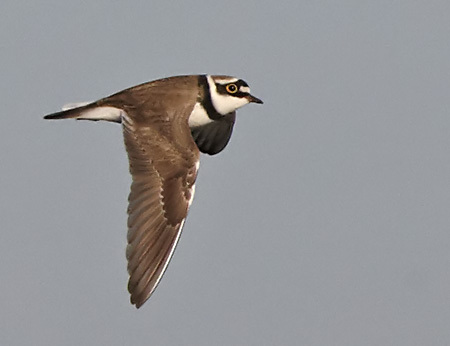 There are two Little ringed Plovers here at the moment, although it is not certain if they will breed. They spend all day together with occasional flights around the pit. 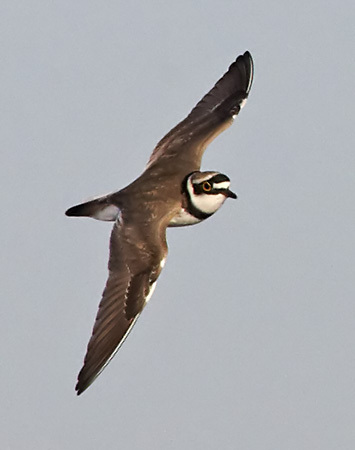 They fly extremely fast and are a challenge to photograph. 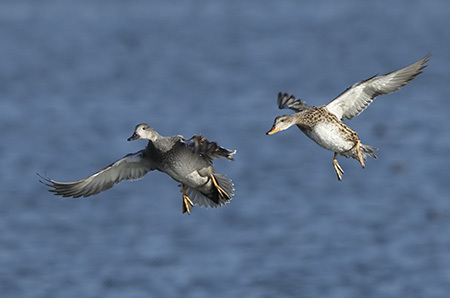 The Gadwall have all but left the site for their breeding grounds, but one or two still stay and can be seen flying about the pits. 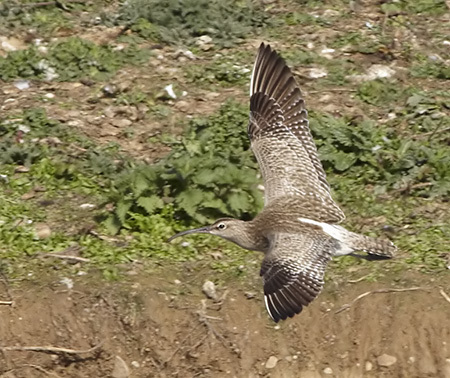 A passing Whimbrel drops in for a rest and a drink, before moving on north. These beautiful birds breed further north in Orkney and Shetland. The reedbeds are filling up with warblers, singing from the tops of the reeds to attract a mate. 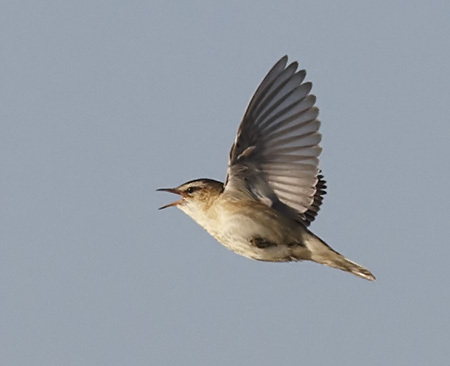 Sedge Warblers have a spectacular act of “parachuting” straight up and back down into the reed bed, whilst singing. In Derbyshire you can see nesting common Terns, but all other terns are passage. 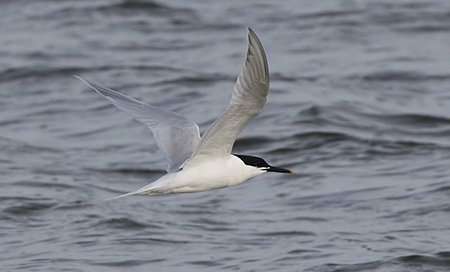 If you’re lucky enough you will see a Sandwich Tern pass through on it’s migration north. Of course a visit to the Farne Islands in north-east England will enable you to see a large colony of these birds, however in Derbyshire we have to make do with a fleeting glimpse. 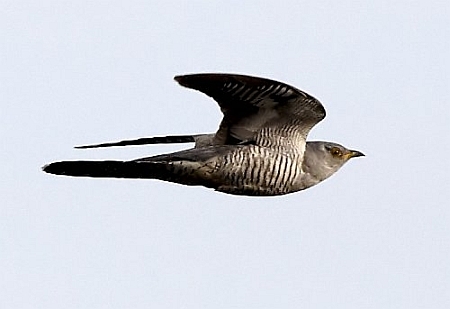 Spring would not be spring without the call of the Cuckoo. In recent years they have suffered a great decline in numbers and despite their protection in both the UK and in their wintering grounds in Africa, their numbers are still down. Looking like a cross between a Wood Pigeon and a sparrowhawk in flight, they are great flyers and brighten any-one’s day up! The year at Willington will continue with the next installment at the end of May, when we will find out how successful the birds have been. This entry was posted in 2010, Derbyshire, Willington GP, Year and tagged common tern, cuckoo, dead goose, defend, Derbyshire, eggs, gadwall, gull, little-ringed, nest, plover, sand martin, sandwich, sedge, spring, tern, warbler, whimbrel, Willington GP, yellow-legged gull.